Welcome! This is a coffee shop where Chinese and English meet in the world of poetry, but our doors are open to poets everywhere in every language. You might meet someone who is interested in taking their work to your language through Poets Cafe, and they may be interested in bringing your work to their language. We make connections, with or without caffeine. Come in. Relax. Enjoy the atmosphere. We cherish the creative mind and poetry, the freedom to create an art that lives inside language. We know poetry is a vital force in the global community. 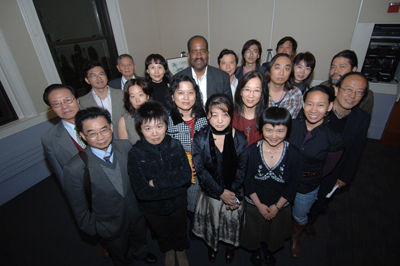 The photo above is of an October 2008 festival of poets from China, Taiwan, and Hong Kong that I convened at Simmons College in Boston, Massachusetts. Poets, translators, and scholars from all over came together to discuss translation and poetry. I convened a previous conference in 2004, one that set the coordinates for this festival. These gatherings are unique. Zang Di, born April 1964 in Beijing, holds a PhD in Literature from Beijing University, where he is currently a professor in the Chinese Department and a Research Fellow at the New Poetry Research Center. He is an editor of NEW POETRY CRITICSIM. 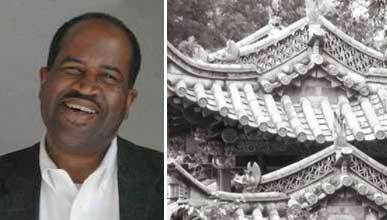 In 1999-2000 he was a Visiting Scholar at U.C.Davis. In 2000 he received WRITER magazine's Poetry Prize. His important collections include RECORDS OF SWALLOW GARDEN, WIND BLOWS THE GRASS, FRESH THORNS. In 2005 he was named one of China's "Top Ten Young Poets." 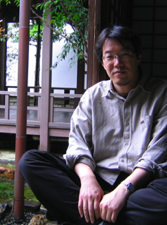 In 2006 he was named one of China's Top Ten Avant-Garde Poets of 1979-2005. In 2007 he was named one of China Top Ten Rising Poets. He was editor of SELECTED POETRY FROM BEIJING UNIVERSITY. He recently published a collection: BEIJING UNIVERSITY COLLECTIONS: 2005. Zhou Zan was born in 1968 in Jiangsu Province. 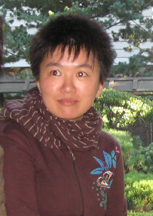 She is a poet, scholar, translator, and editor-in-chief of Wings [翼], a literary journal for Chinese women’s poetry. She holds a PhD from the Chinese department of Beijing University, where she completed a dissertation on the avant-garde in contemporary Chinese poetry. Her poetry collection, Turn Me Loose [松开], was published in 2007, and her other works include volumes of critical essays entitled Through the Periscope of Poetic Writing [透过诗歌写作的潜望镜, 2007] and Studies on Chinese Contemporary Literature [当代文学研究 ,2001]. Her translation of Margaret Atwood’s Eating Fire: Selected Poetry 1965-1995 is forthcoming from The Writers Press in 2008. She had stayed in New York as a visiting scholar at Columbia University from 2006 to 2007. Currently she lives in Beijing.